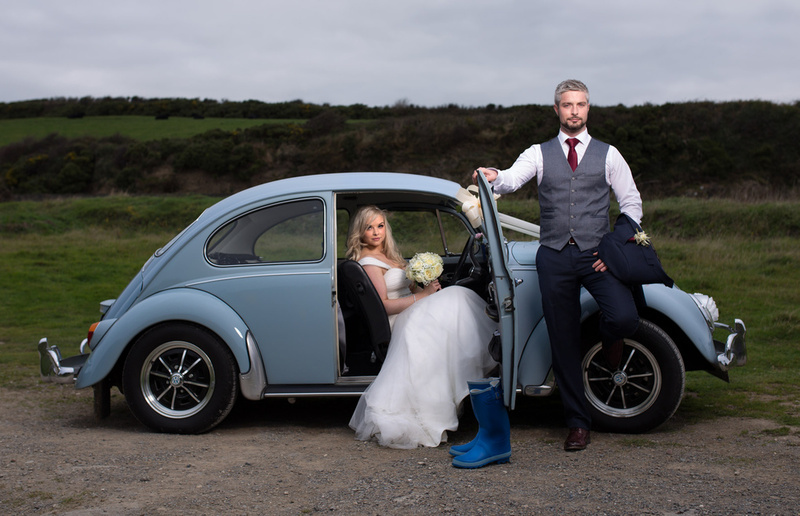 Wedding photo of the bride & groom after the church with their VW Beetle. Elinchrom quadra used to camera right to light subject. Sigma art 35mm 1.4 & Canon 6d.